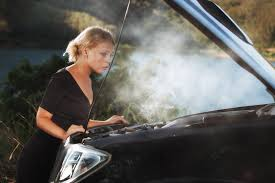 If your car is overheating it can come from a variety of failed components. With engine temperatures reaching 275° F and higher, there is a lot of heat your engine has to deal with. If your engine is running hotter than normal, either shortly after starting or over time, or if you find coolant/antifreeze beneath your car, stop by Lorton Auto Service Center today. Without a properly functioning cooling system, heat levels produced by your car’s engine are great enough to damage the components of the engine itself. Aluminum heads can warp. Head gaskets can blow. Engines can fail. And those are all big ticket repairs. Count on us to help keep your car’s cooling system operating safely and efficiently and avoid preventable repair expenses. We recommend having coolant replacement performed according to your car’s factory-recommended maintenance schedule. This regular maintenance of your vehicle’s radiator and cooling system can help avoid car overheating and costly repair services. And it’ll help keep you off the side of the road. A properly functioning cooling system, which circulates antifreeze/coolant and dissipates the heat away from the engine, is absolutely necessary to prevent car overheating and destructive engine temperatures. Radiator — an auto radiator has a set of tubes called the “core” that the coolant flows through. Cooling fins surround the core. As air passes through the fins, the coolant releases its heat to the fins, which dissipate the heat. Radiator cap — there has to be a place to pour in coolant and the radiator cap covers that filling hole. The cap is also designed to seal the system to a specific pressure. Radiator hoses — the coolant goes from the radiator to the engine through a series of hoses that are sturdy and flexible enough to handle engine vibration and high heat. Thermostat — like the device on your home heating/cooling system, the engine thermostat keeps the engine at the proper operating temperature. Water pump — this is the heart of the engine cooling system. It pumps coolant through the whole cooling system, and into the engine block.